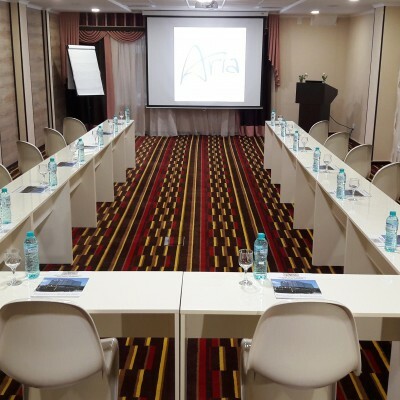 At Aria Hotel Chisinau, we work with you to create elegant, enjoyable events. 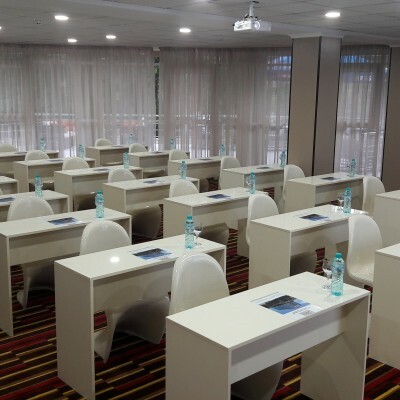 Our international expertise, coupled with state-of-the-art technology and innovative solutions, ensure the success of your next conference, trade show or business function. 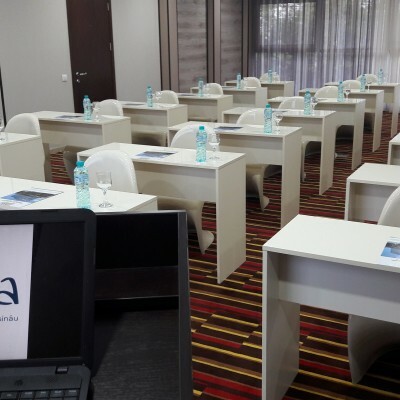 Situated in the heart of Chisinau city, our hotel has 2,000 square meters of adaptable space to suit your event. Whether you’re organizing a power meeting or an elegant gala, our conference and banqueting services provide international expertise to guarantee a truly unforgettable occasion. 3 elegant venues give you endless flexibility, allowing you to make your event as intimate or as grand as you wish. 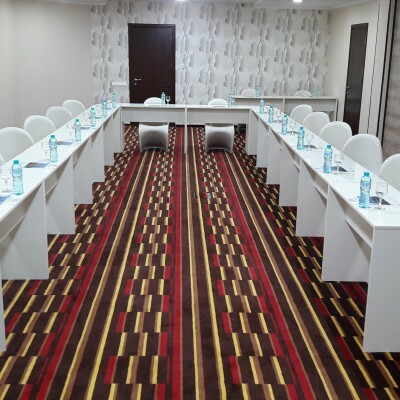 For large scale gatherings for up to 250 delegates, the luxurious Grand Ballroom and the 2 smaller meeting rooms can be adapted to accommodate groups as small as 12 or as large as 250. This all-in-one suite integrates meeting, dining and relaxation venues into a single area, allowing attendees to meet, mingle and share ideas – as well as meals – together. We also offer a full range of audio-visual equipment and technical support, simultaneous translation in most of the languages, which will make your event internationally recognizable. Our dedicated events planning team is readily available to meet your every need and request. Sophistication. Style. Glamour. The ultimate location for luxury city weddings. Our wedding experts render dedicated, stylish and innovative service especially for you. From sophisticated menu and floral designs to elegant backdrops, we are devoted to realize your wedding dream.